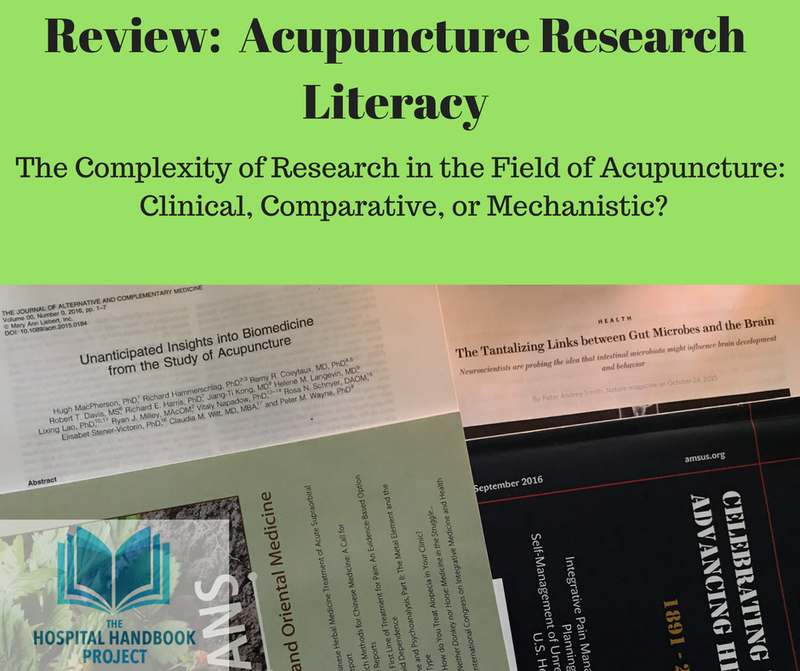 The field of acupuncture research and study design is complex; more complex than other research fields. Complex in the way that any hands-on clinical interaction is complex from a research standpoint, not dissimilar to clinical research in the fields of chiropractic, massage, health psychology, and physical therapy. For a great, 10 minute overview of the field of acupuncture research, check out Mel Hopper Koppleman's YouTube video. Useful for hospital administrators, hospital program sponsors, all East Asian Medicine (acupuncture) practitioners, and the beginning researcher. Remember, for those of you who are researchers, this is the 10 minute version. For more in-depth learning, you may be interested in the "Researcher's Resource list", a pdf with recommendations from the Hospital Practice Handbook community (because many good references are not books or available on Amazon). January 2018 update: Mel has release more videos since this. See our January post, "Studies to Understand when you talk with Neurologists", which features Mel's video, "3 Neurological Studies". 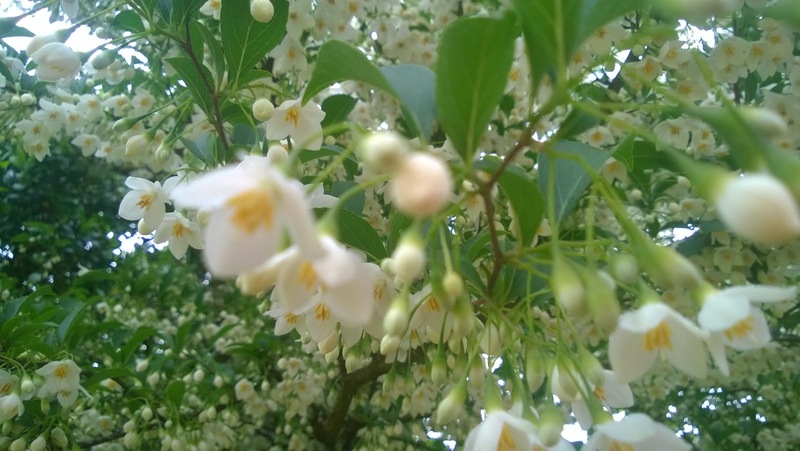 You can see even more impressive work on reviews of East Asian Medicine research (which includes acupuncture) at the new website, Evidence-Based Acupuncture. Integrative Medicine Philanthropic Movement into Mainstream Medicine—want to learn more? Wanted: Volunteers to write reviews of research articles related to the work of hospital-practice Integrative Medicine, East Asian Medicine (Acupuncturist) practitioners. I want to start a new community and wisdom-sharing feature on this blog, with focus on research-literacy. My hope is that it will be a useful way for the community to share quick reviews of their favorite research articles related to their work. 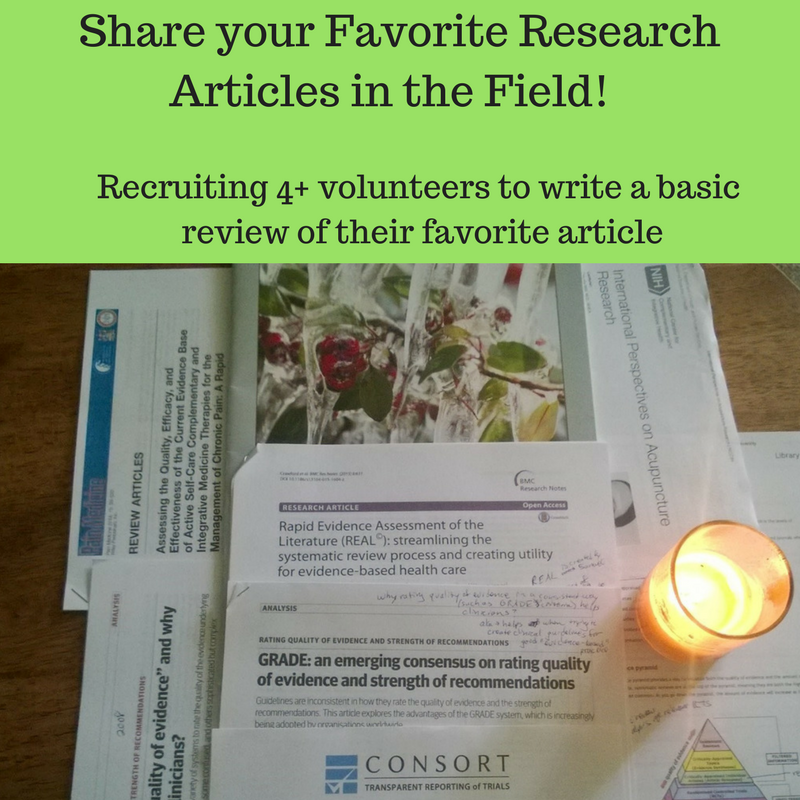 How can this be done: I need 4+ volunteers to write a review of one research article a month. Goal: highlight up to 1 research article/week. What it is: volunteers write a review of a research article, following outlined criteria. Review to be posted on the this blog. Reviewer may use actual name or pen name. · What type of research was it? Literature review/synopsis, randomized control trial (RCT), comparative effectiveness trial (CER), case study, cohort study, expert opinion, etc. Please see the Research Pyramid for reference. · Provide a quick/succinct summary of the information. 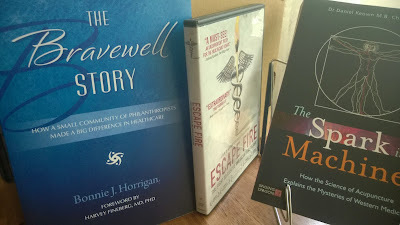 Lunchtime Learning Recommendations--audio or audiovisual presentations for the Integrative Healthcare Practitioner or Hospital Admin/Hospital Sponsor. Research reviews, podcasts, webinars, setting up programs, etc. You can support this community resource by contributing $5 or $25 via the website. If you or your company/program would like to sponsor or partially sponsor a Project, please contact me. Thank you! Do you want to follow our work? Just subscribe to this blog, join the newsletter email list on the website, and "like/follow" our Facebook page.